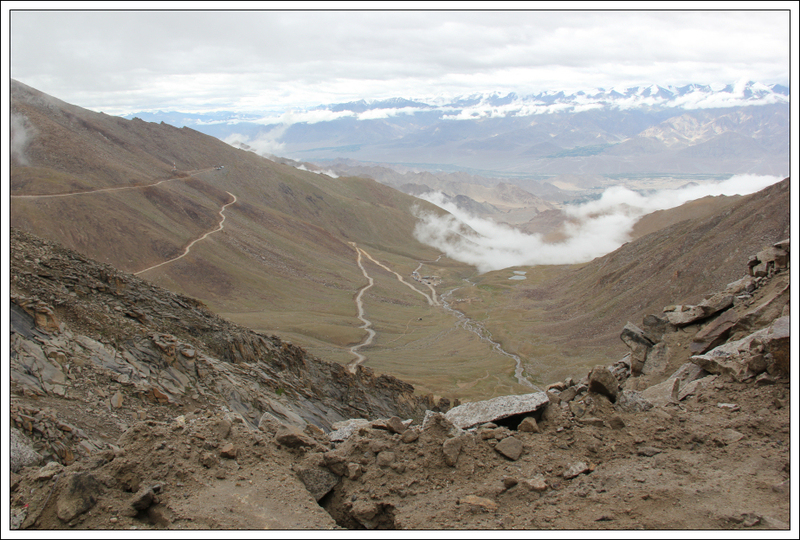 On 10th August 2013, I embarked upon my first ever trip to the Himalaya . After driving from home to Aberdeen, I took an internal British Airways flight from Dyce Airport to London Heathrow. 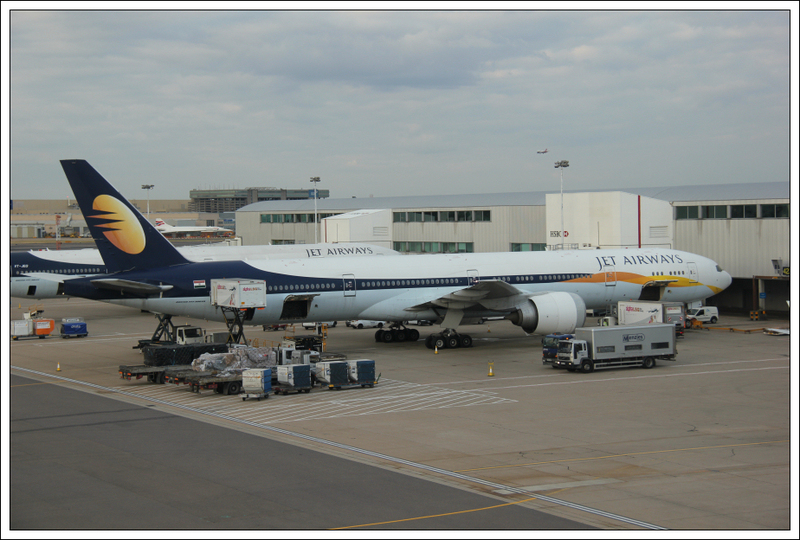 I subsequently then caught an overnight flight from London Heathrow to New Delhi, arriving on 11th August 2013. 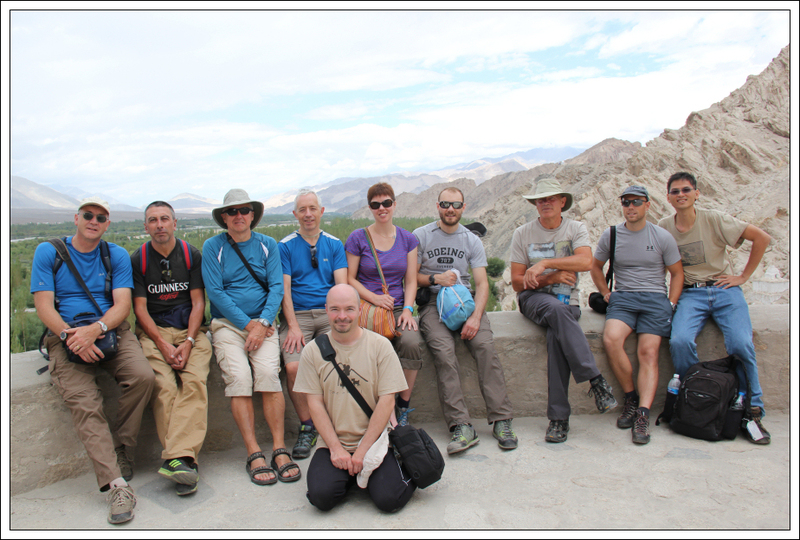 During the flight I met two of my trekking companions, Chris and Vladimir (aka Bob). 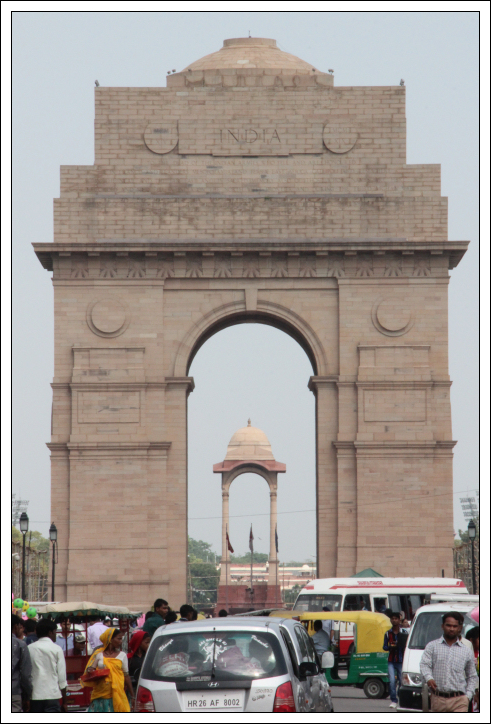 Despite arriving at around 10am, Delhi was already both hot and humid. Circling above the terminal building were at least a dozen large Kites, distinguishable from other raptors by their forked tails. As we approached our contract-hire cars, that would transfer us from the airport to our hotel, we were soon surrounded by a small army of locals assisting us with our bags, whether we wanted assistance or not, and requesting Baksheesh (tips) in return. 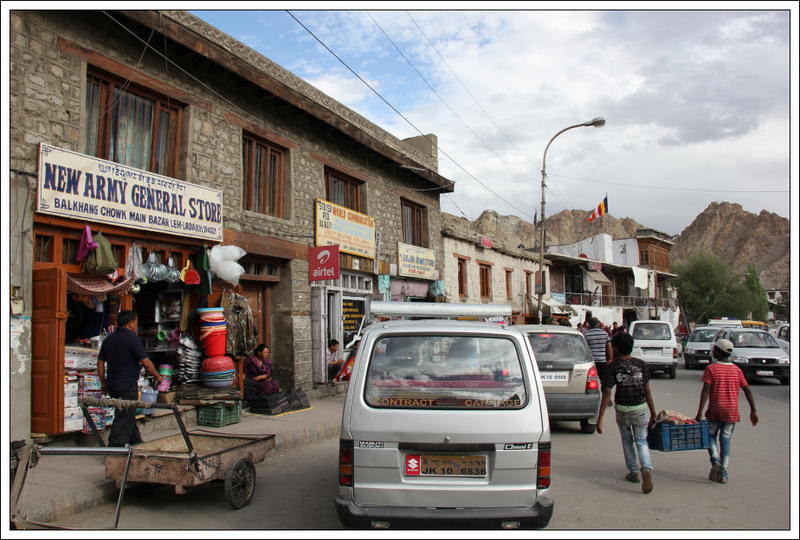 The drive from the airport to our hotel was my first ever experience of Indian driving . 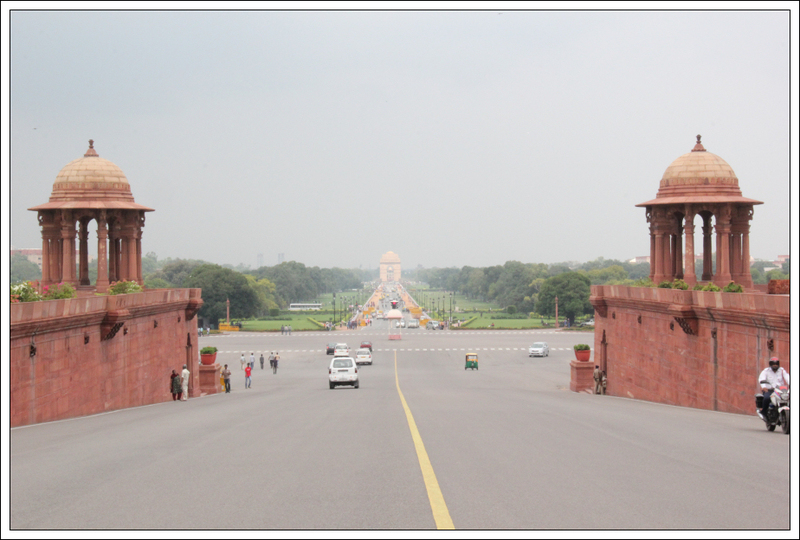 The sights and sounds of Delhi really have to be seen to be believed. 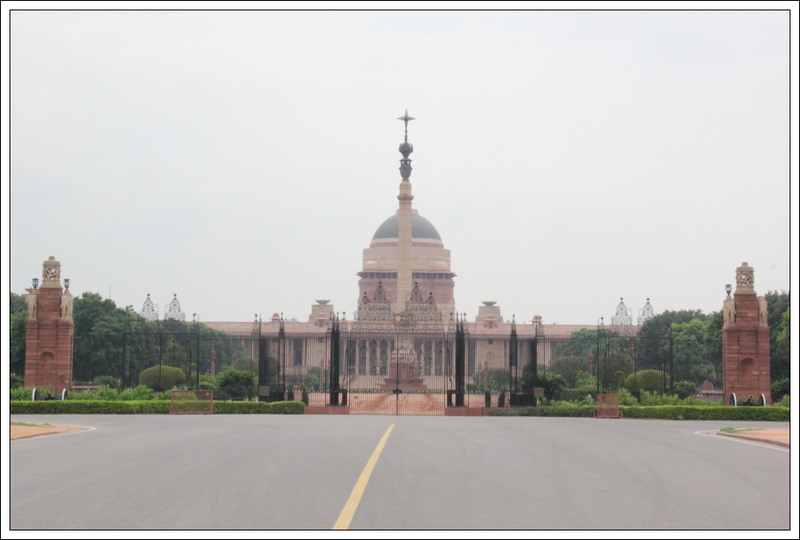 After checking into our hotel, our rep organised a small tour of some of the sights of New Delhi. 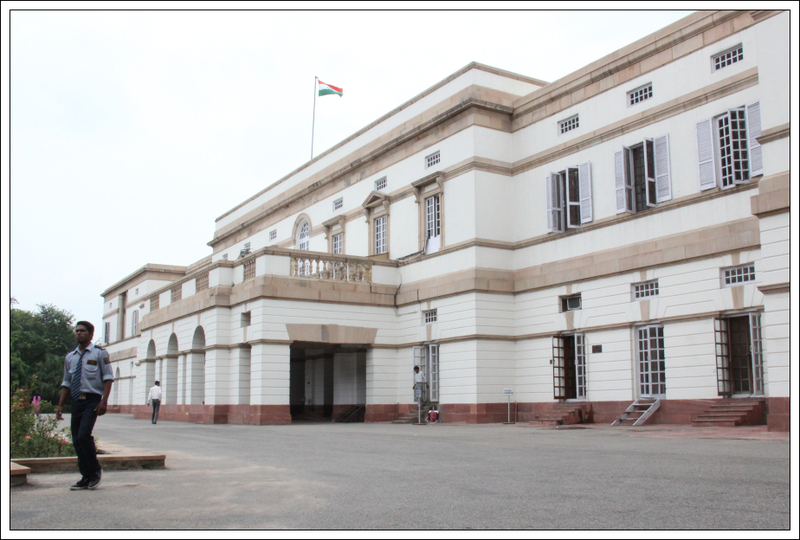 The first place we visited was Teen Murti house, the former residence of the first Prime Minister of India and now a museum. Buildings generally do not interest me that much. I was more interested in what wildlife I could see within the grounds. 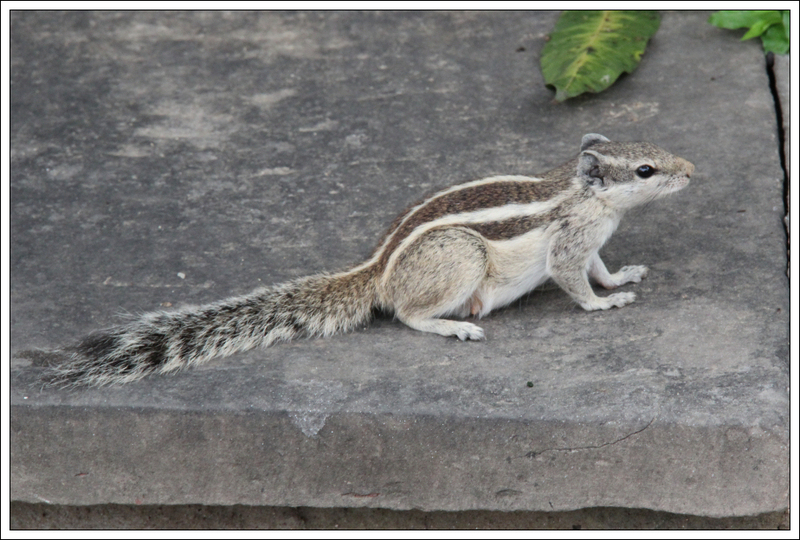 There were a number of squirrels and lots of Myna birds. 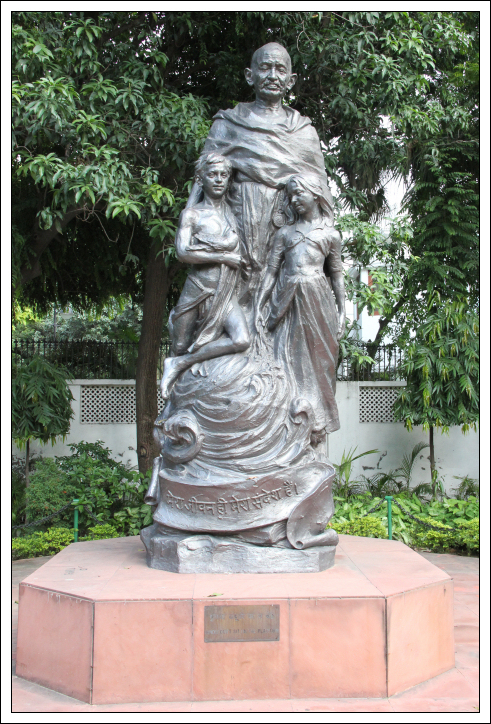 Teen Murti House also has a planetarium (Nehru Planetarium) which unfortunately we did not have time to visit. 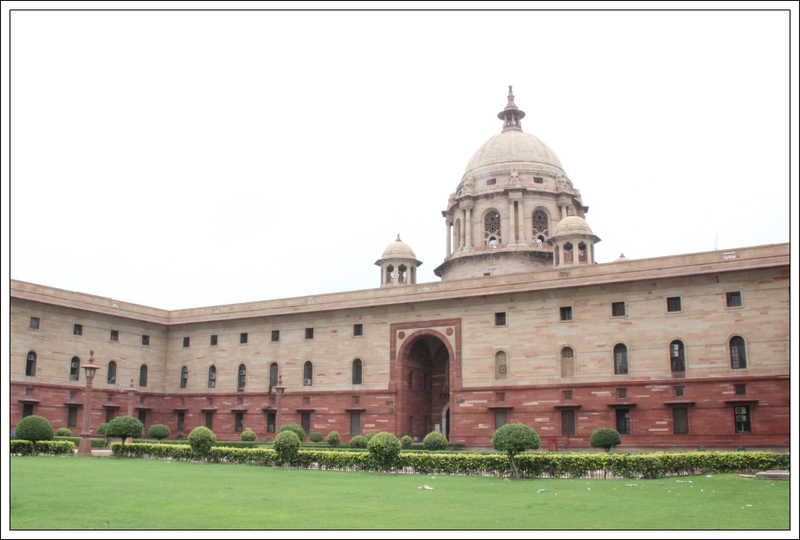 From Teen Murti House, we next set off to see Rashtrapati Bhavan, the current official home of the President of India. 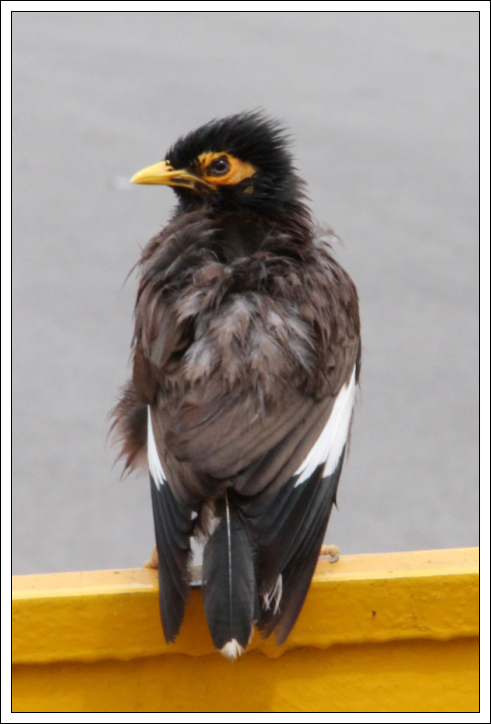 On the lawns of Rashtrapati Bhavan were numerous Common Myna birds and circling above were at least a dozen Black Kites. 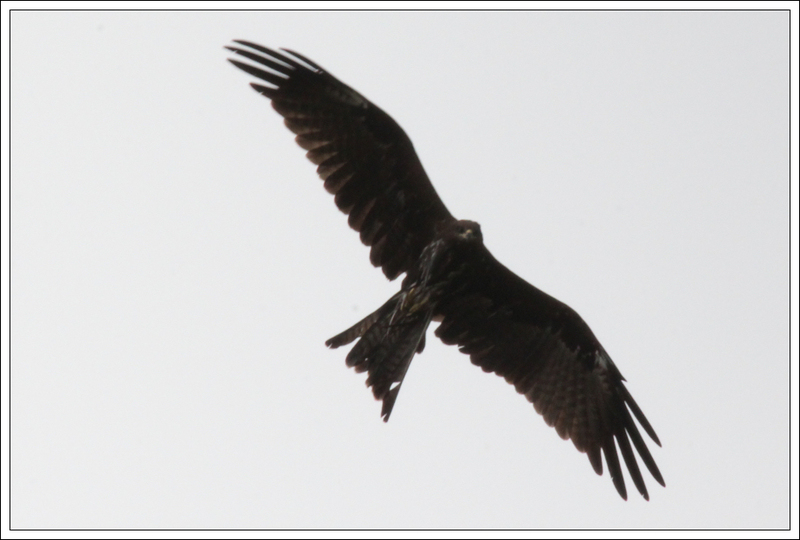 Black Kites would appear to be very common in Delhi. After a quick visit to India Gate we decided to have our first lunch in India. 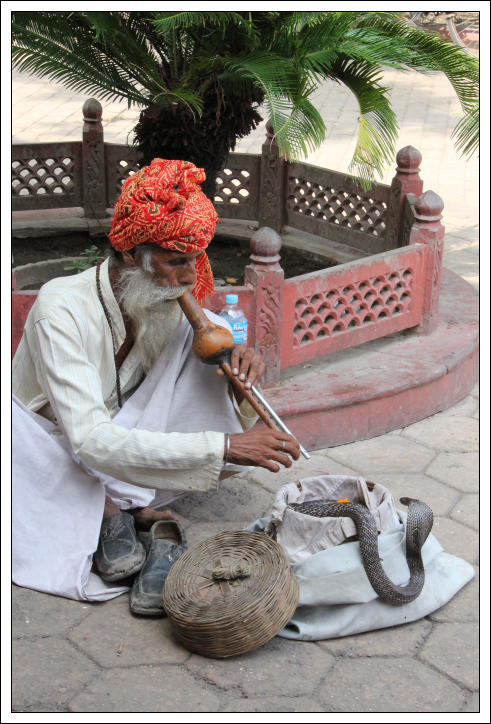 Outside the restaurant was a snake charmer. He was more successful with slapping the snake than charming it. 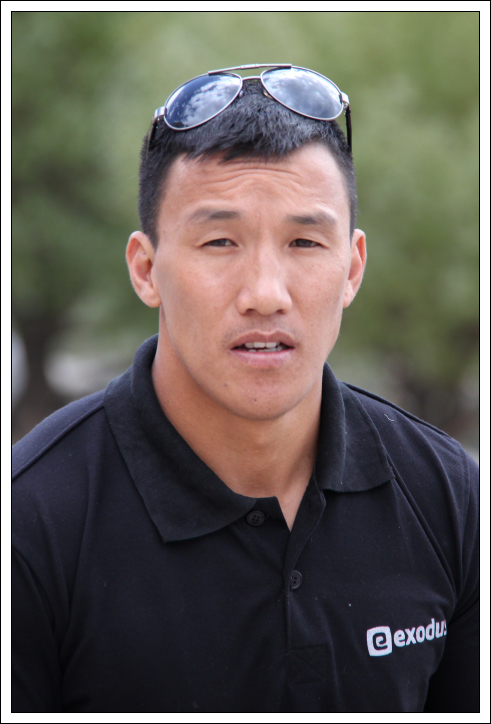 He expected payment of 200 Rupees for the privilege of taking a photograph which was about the same price as lunch. My first experience of Indian food was not a good one. When I cut into chicken I don’t expect it to be so raw that blood comes out of it. 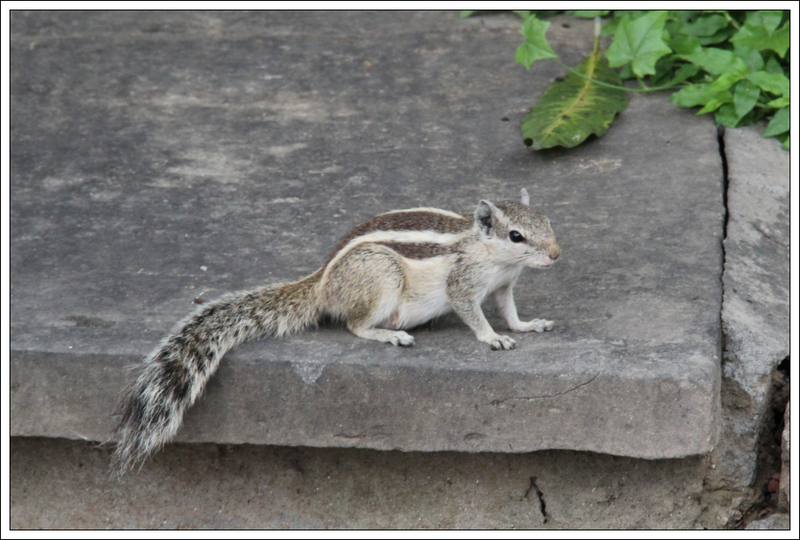 Little wonder so many visitors get Delhi Belhi! After lunch we visited Gandhi Smitri formerly known as Birla House. 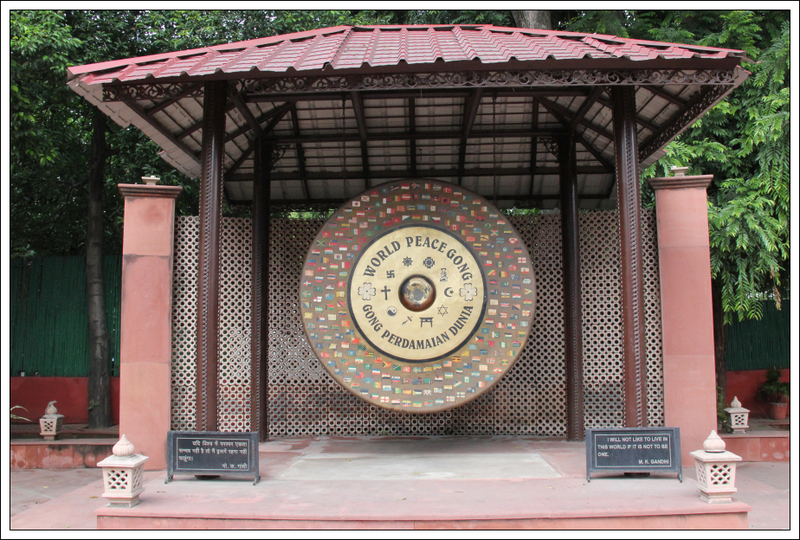 This is a museum dedicated to Mahatma Gandhi, where he spent the last months of his life and where he was assassinated. 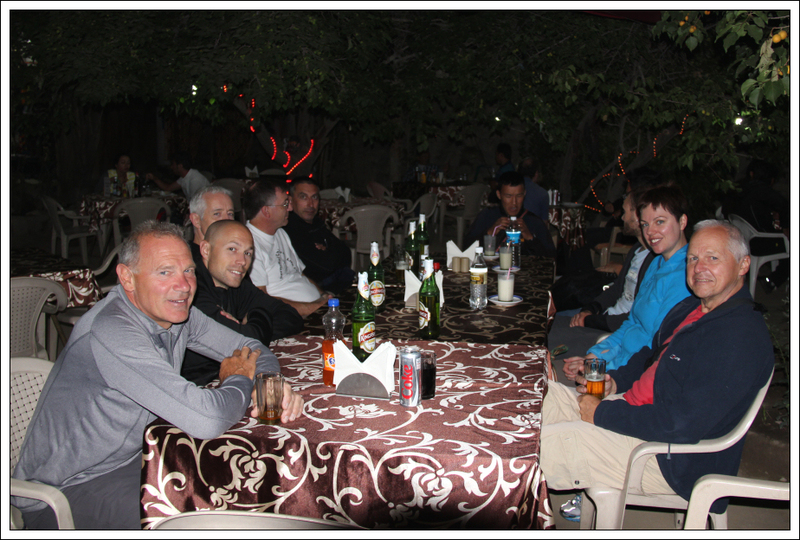 On 12th August, at around 2am, we had to get up and travel back to the airport for our next flight from New Delhi to Leh. 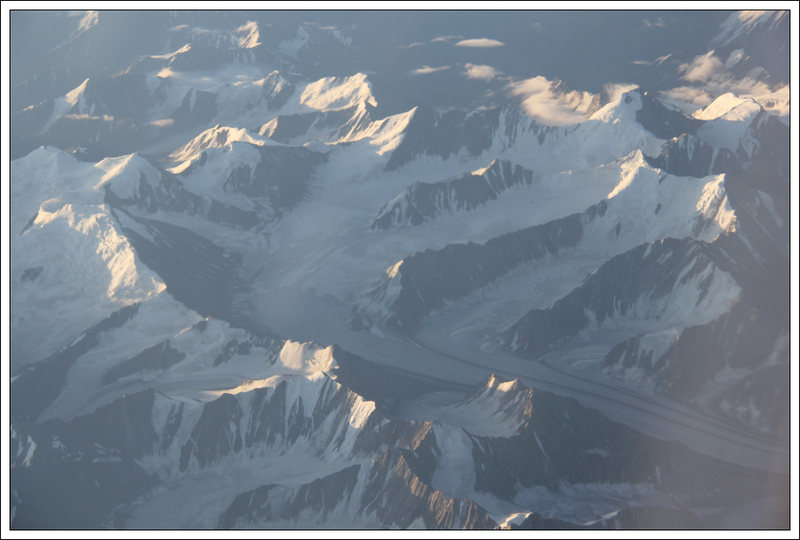 The flight from New Delhi to Leh is well known for providing stupendous views of the Himalaya. 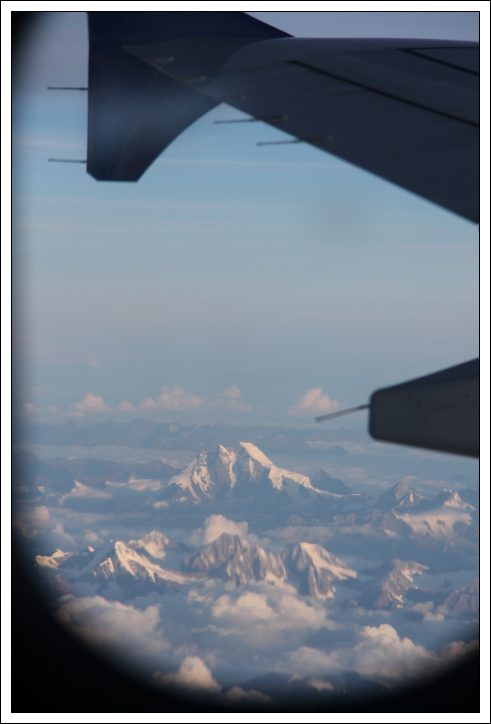 Unfortunately, I was stuck in an aisle seat on the opposite side of the plane from the best views. I did manage to snap a few photos during the flight. 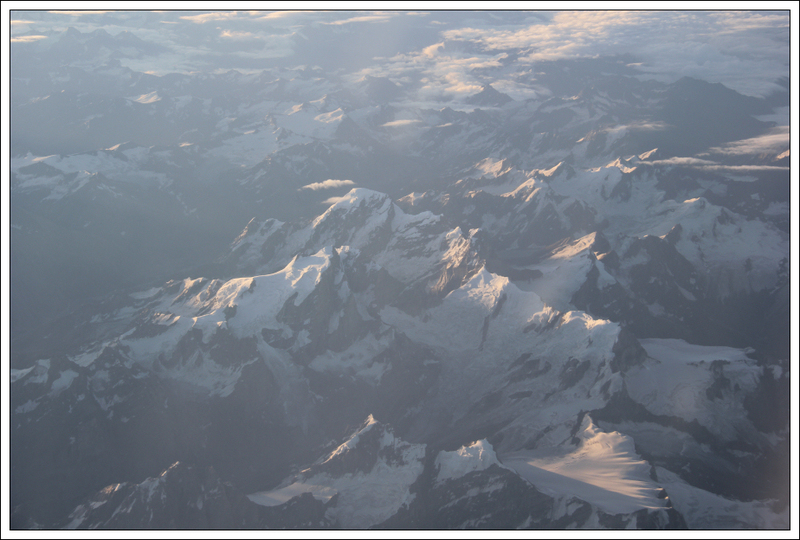 Taking off from near sea level and landing at 3500m proves a bit of a shock to the system. Increased heart rate and breathing difficulties with the minimum of exertion. 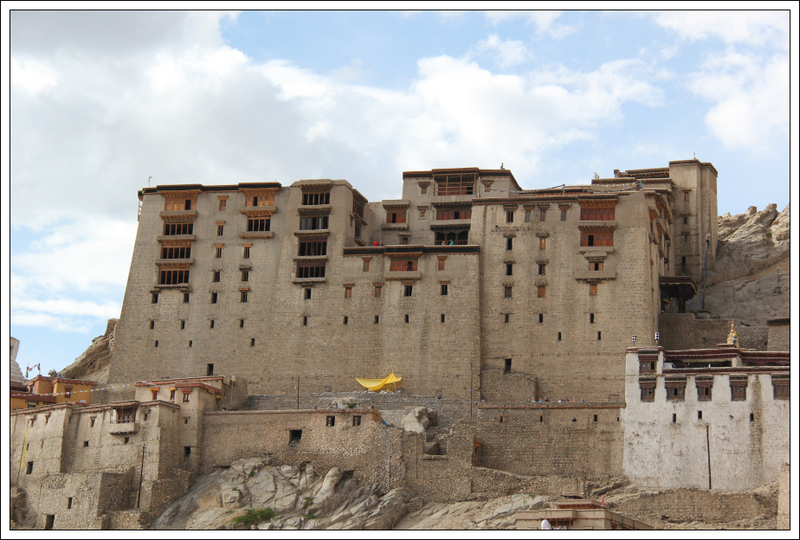 Fortunately, our itinerary would now allow us three days in Leh to start to acclimatise to altitude. 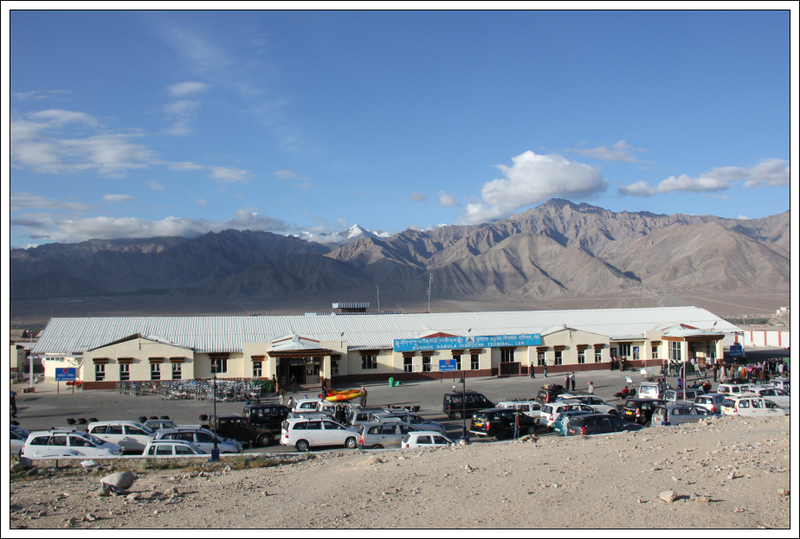 From Leh airport, we were transferred to our hotel in Leh. 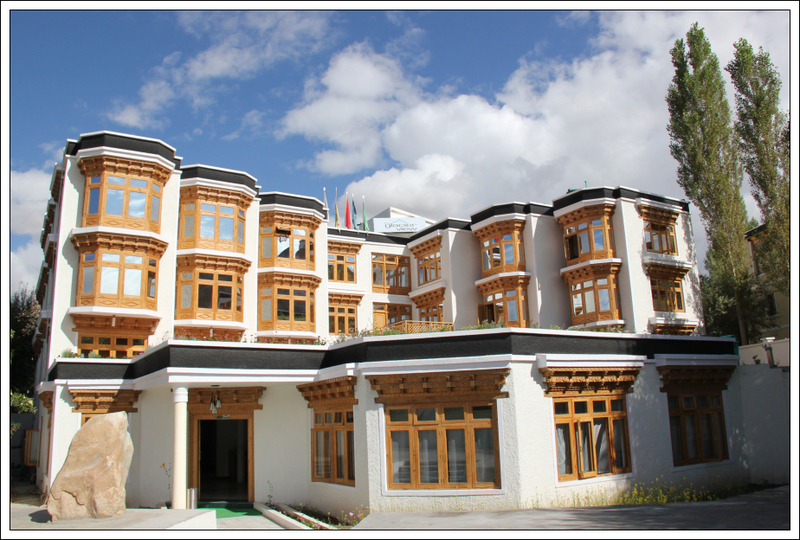 I was well-impressed with our hotel in Leh. The hotel was only three-months old and really nice. Well done Exodus. 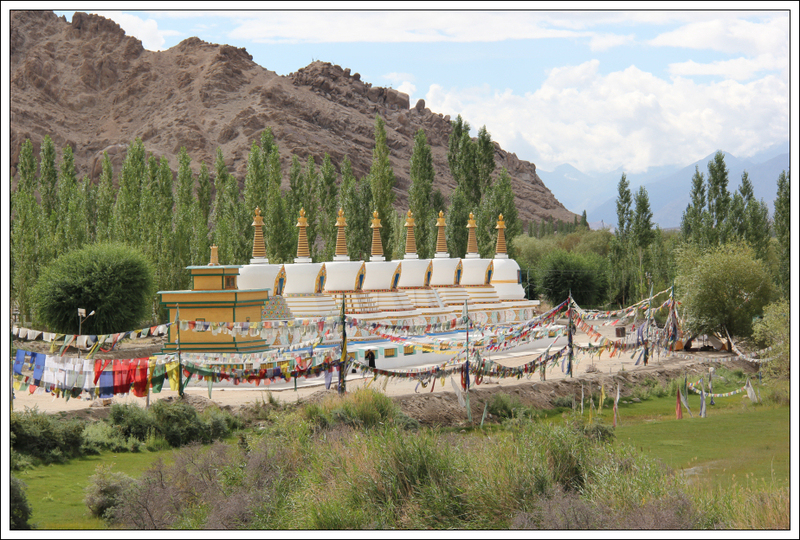 After settling into our rooms and having some lunch in the hotel, we set out for our first walk of the trip - a sight-seeing walk around Leh. 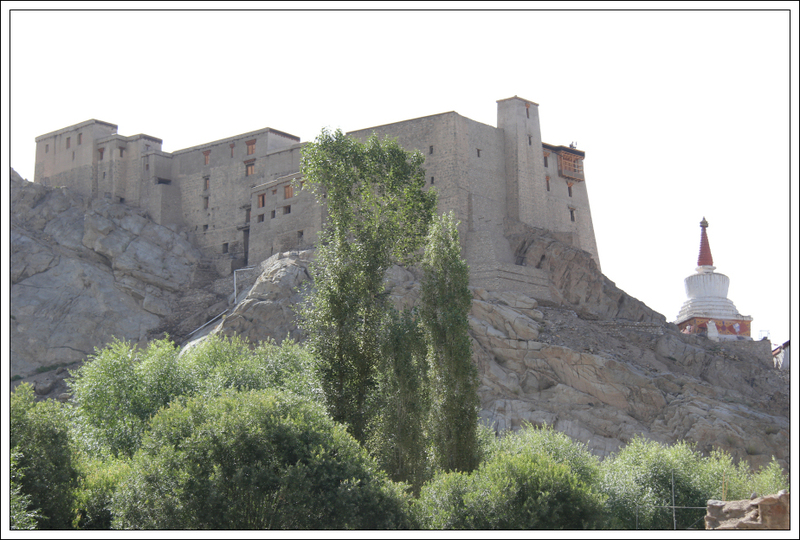 One of the most prominent features within Leh is the ruined Royal Palace. 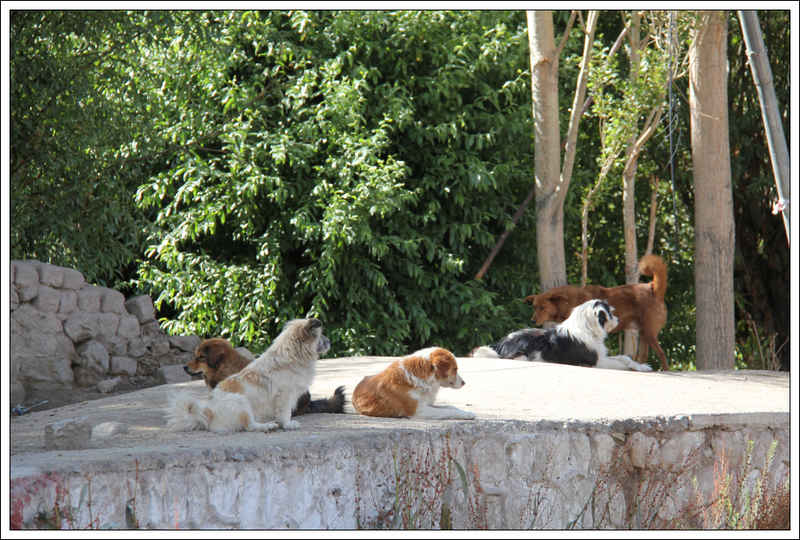 In Leh, there are literally hundreds if not thousands of stray dogs. I would recommend getting the Rabies vaccinations if going to India just in case you are bitten. India is the Rabies capital of the world. 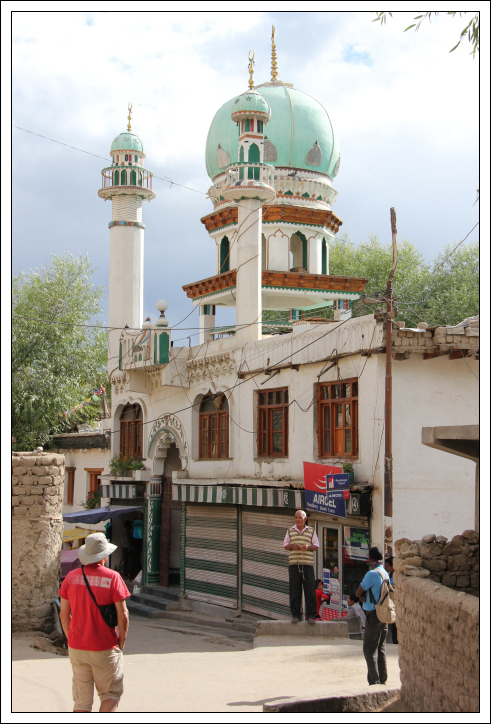 We passed a small mosque that we would get to know quite well owing to it playing an extremely loud call to prayer at 4am each morning. 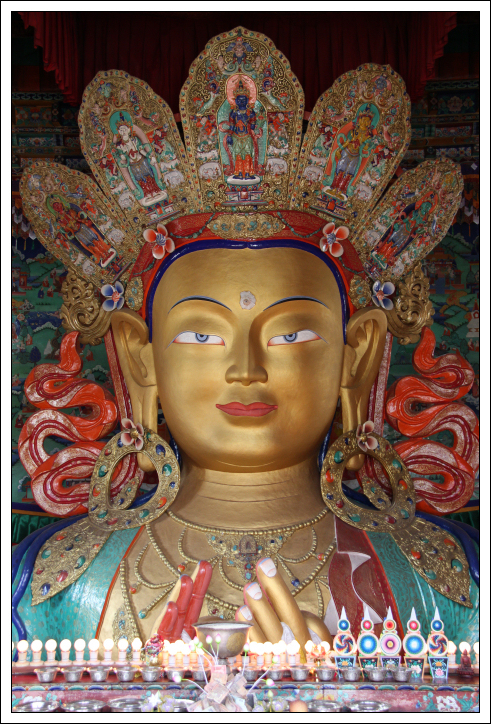 Leh and Ladakh are primarily Buddhist. 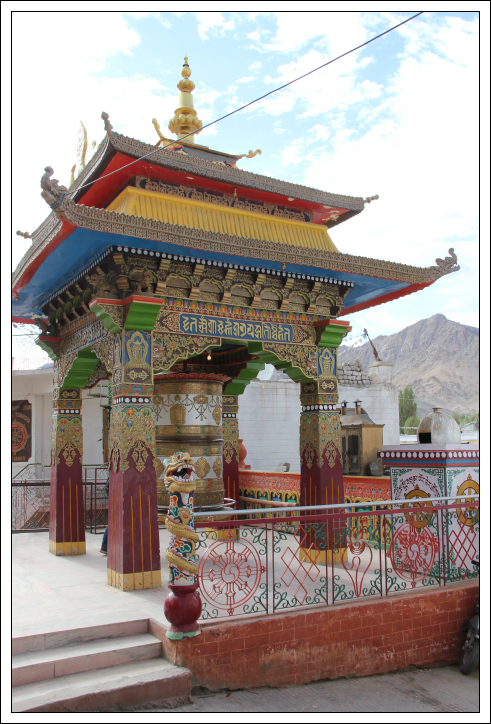 There are numerous prayer wheels and monasteries in the region. 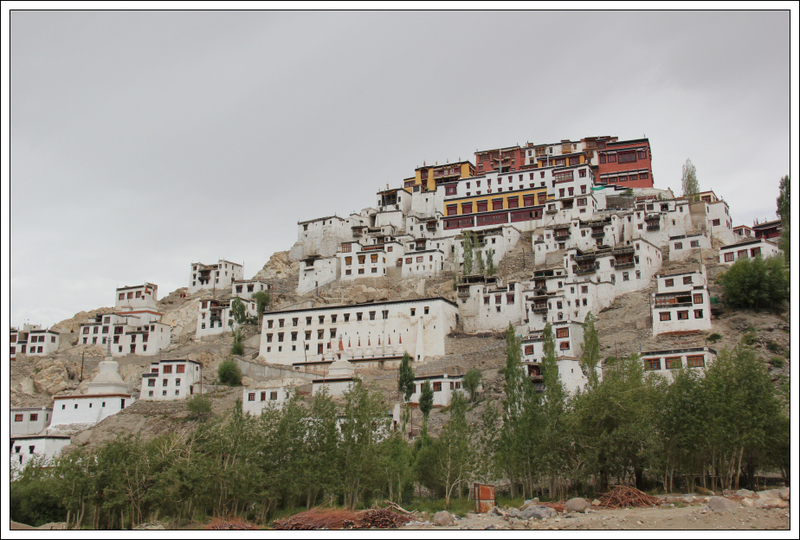 Ladakh is the ‘land of high passes’ but is also sometimes known as ‘Little Tibet’. 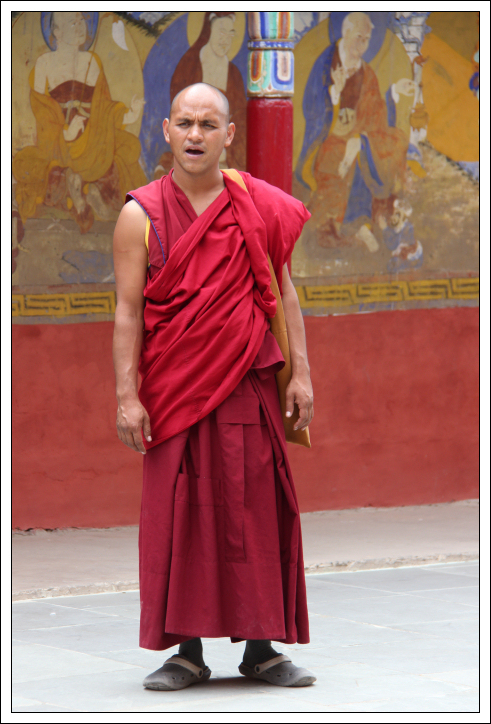 The majority of Ladakhi people look more Tibetan in origin than Indian. 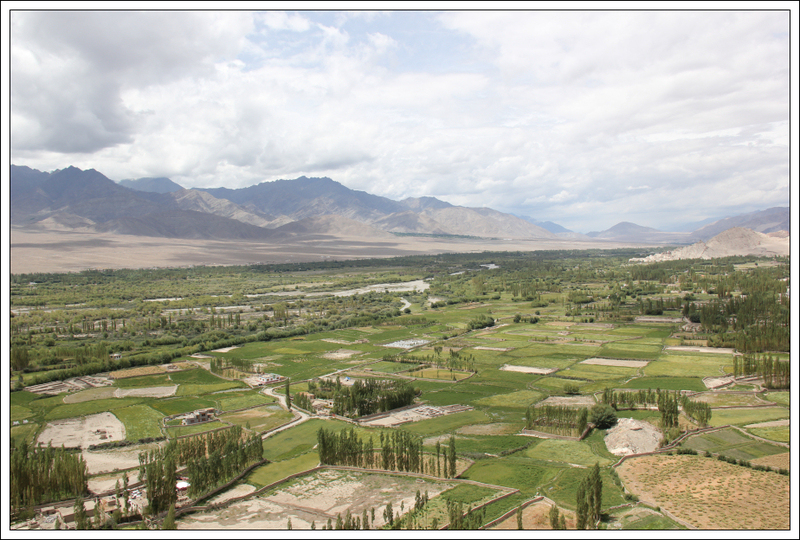 During our walk round Leh, we were able to get our first good view of Stok Kangri. In ten days time we would hopefully be standing at the summit of this mountain. 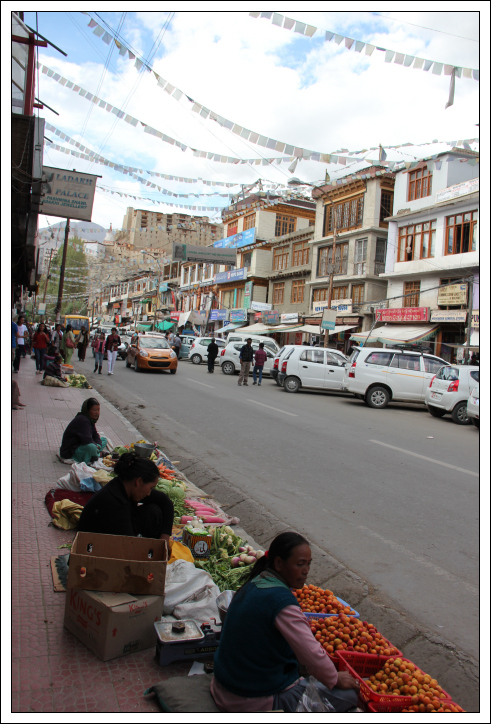 The food in Leh was generally very good (much nicer than in Delhi). 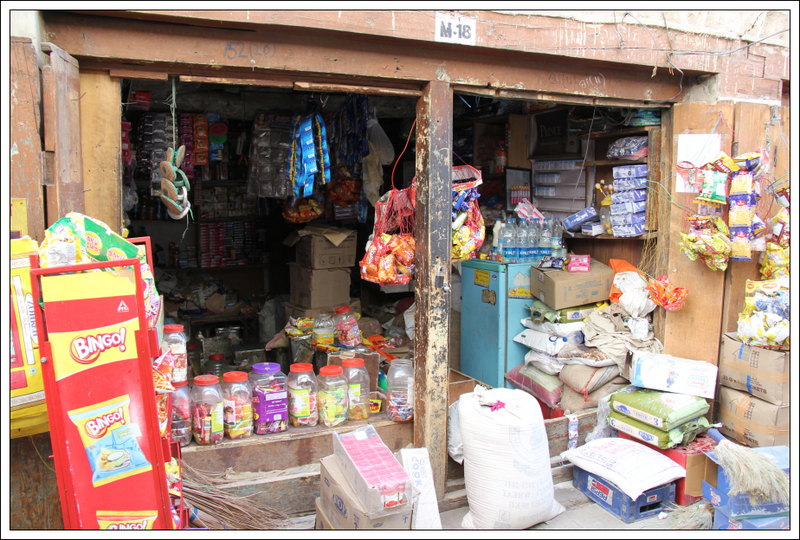 Avoiding stomach problems is however fairly hard owing to the lack of hygiene. 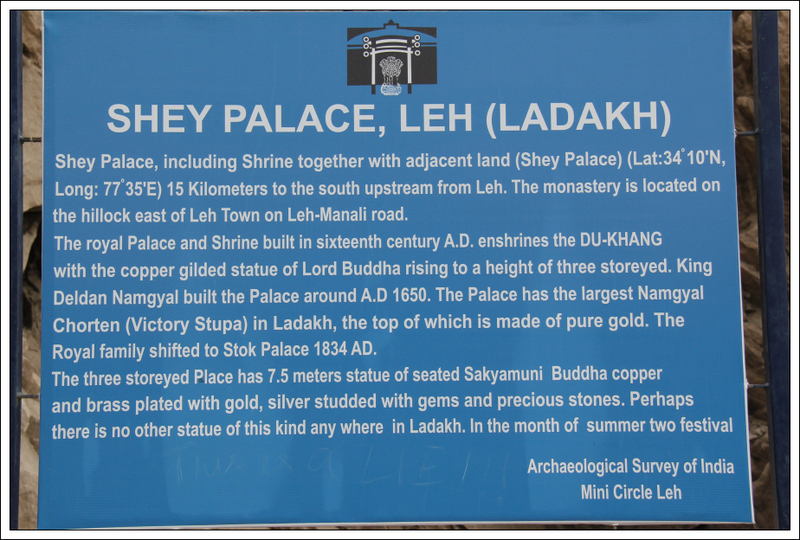 On 13th August, we travelled about an hour away from Leh to visit two Buddhist monasteries – Shey Palace and Thiksay Monastery. It was great to have Ngima as a guide on our trip - very knowledgeable, always pleasant and happy, always helpful and an experienced climber. 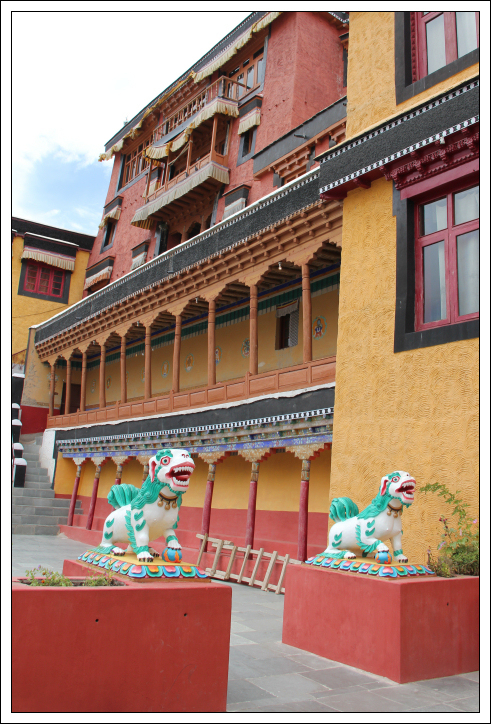 Prior to visiting Shey and Thiksay, we stopped outside the Ladakhi residence of the Dalai Llama. He was staying there at the time but we did not see or meet with him. 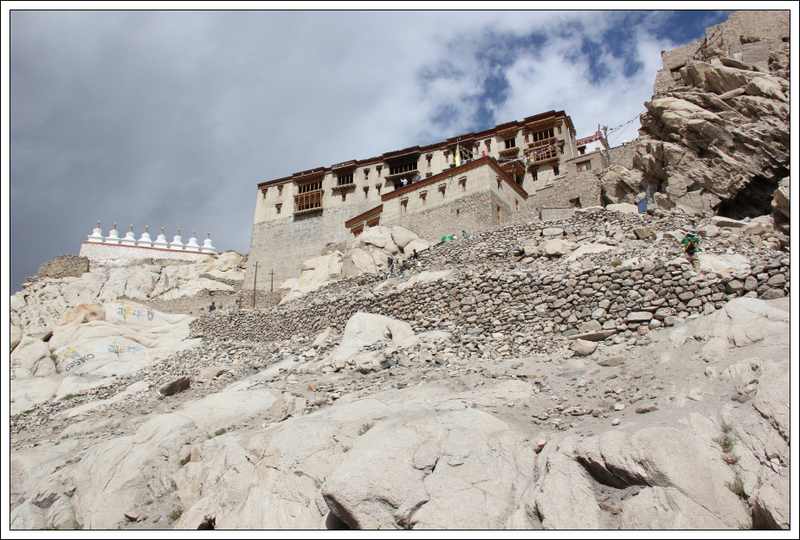 The ascent up a number of flights of steps to Shey Palace was fairly tiring as we were not yet acclimatised. Thanks to my friend Heavy for providing the best advice for alititude, “slowly, slowly”. 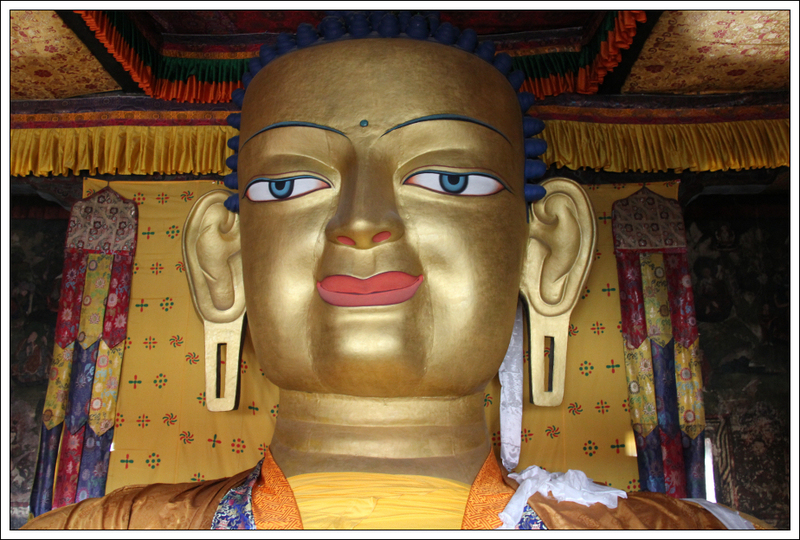 After visiting Shey Palace we undertook a circa one hour walk from Shey Palace to Thiksay Monastery. Good to help acclimatisation. 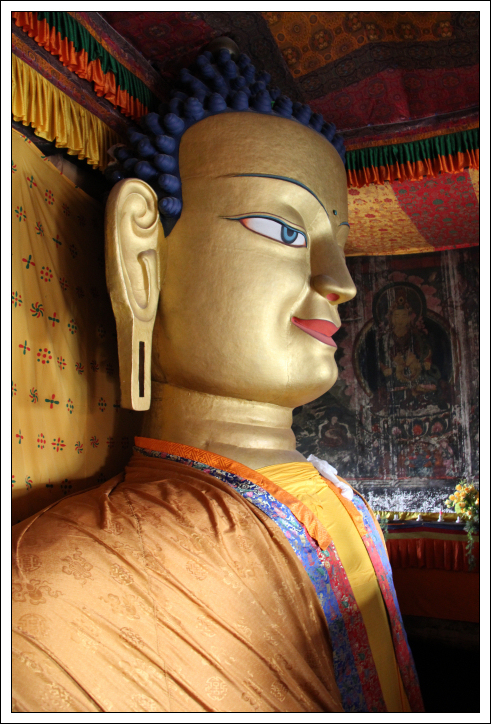 On this trip, I always asked people if it was ok to take their photograph prior to doing so. Some people were happy to have their photo taken others declined. 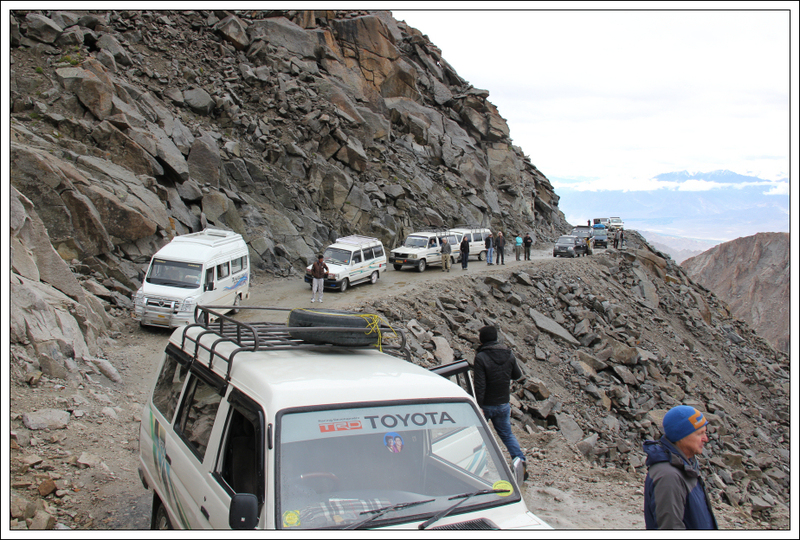 On 14th August, our whole group decided to undertake the optional trip to Khardung La which according to India is 5602m and the highest motorable road in the world! This optional half-day trip only cost circa £10. India is really inexpensive. 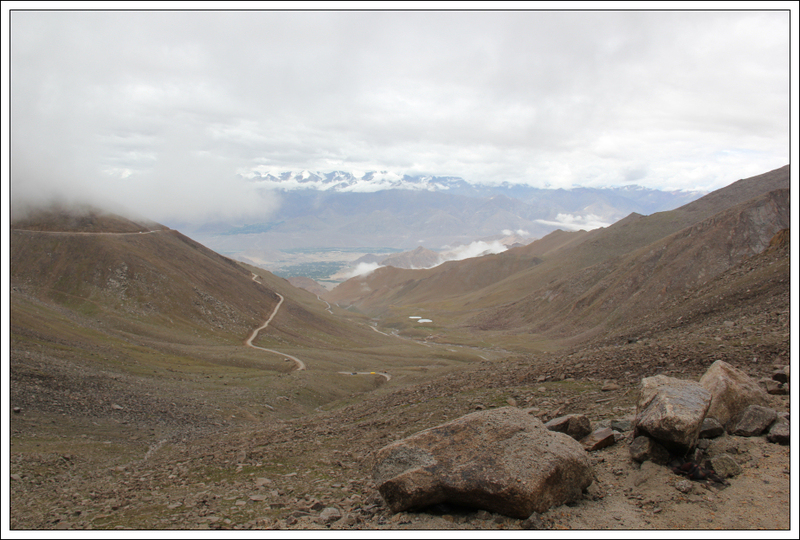 The road up to Khardung La was “interestingly narrow” in places. 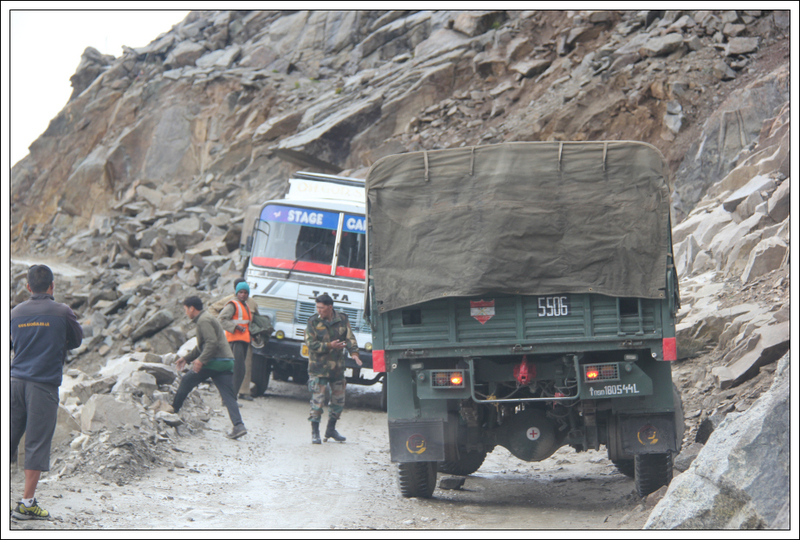 During the ascent we got stuck behind a military lorry which could not get past a bus coming the other way. 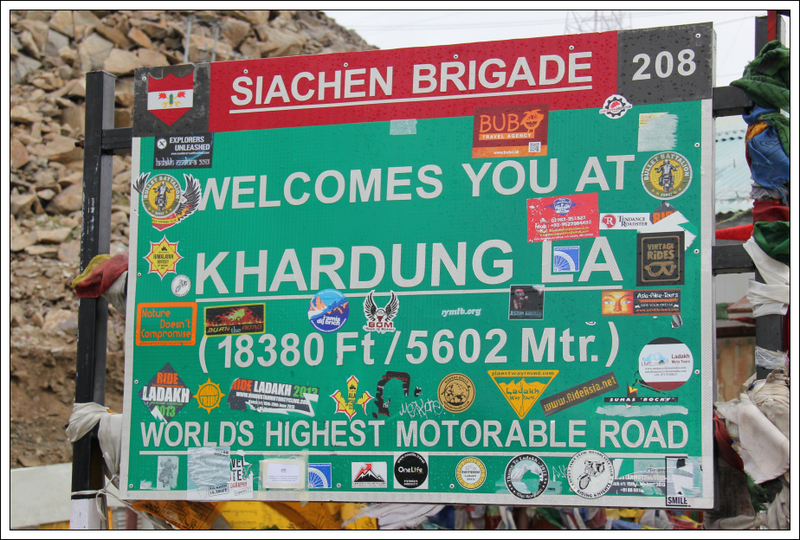 You may ask, is Khardung La really 5602m and really the highest motorable road in the world? Modern measurements find the road to be only 5359m. 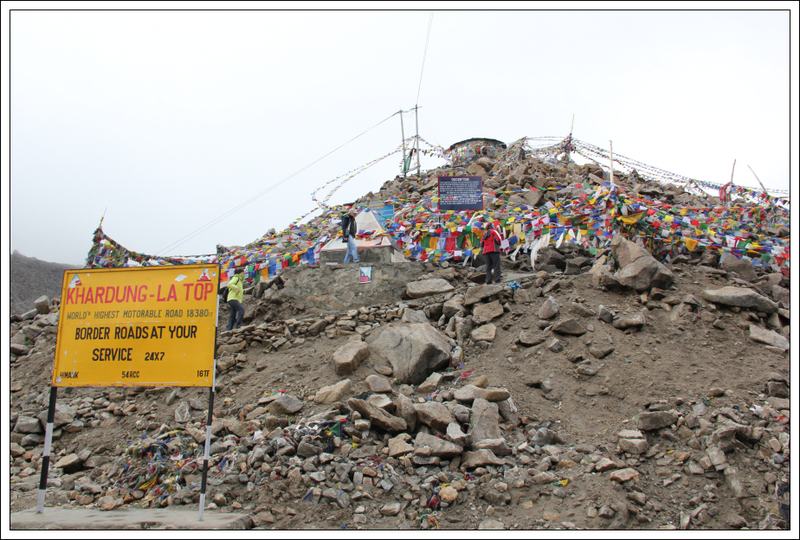 There are therefore several motorable roads higher within Tibet but India continues to claim 5602m . 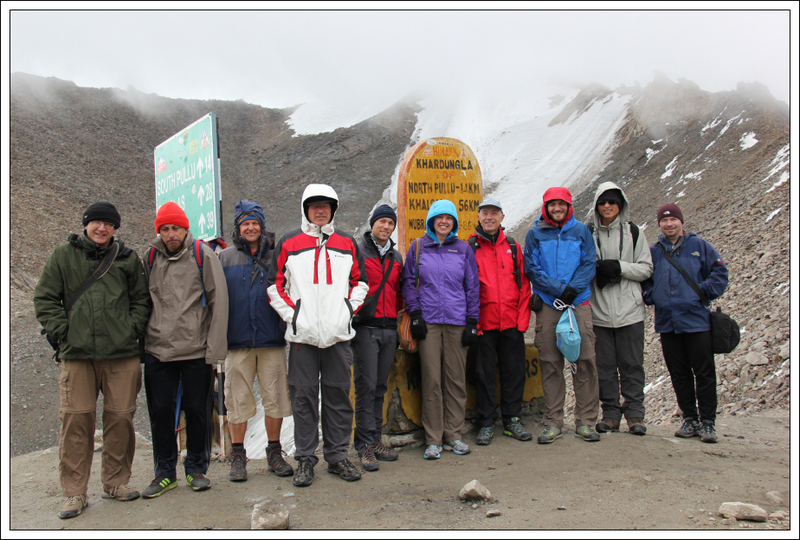 The trekking begins in the Part 2 report, to follow.